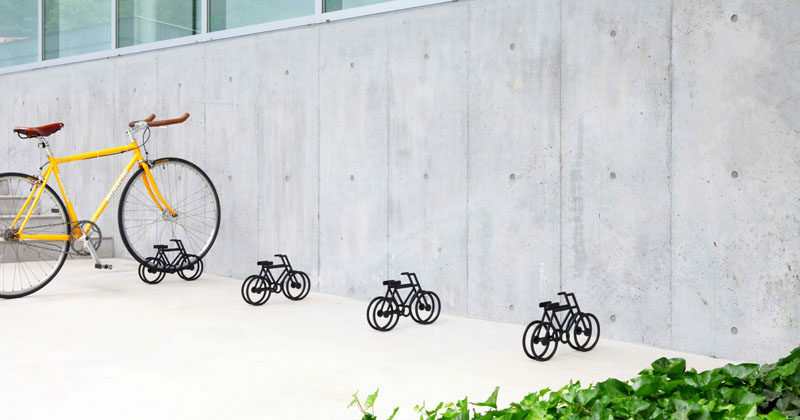 Japanese designer Yuma Kano has created a fun and quirky bike stand for Nemoto Shipyard, that stands out and is shaped like a mini bicycle. 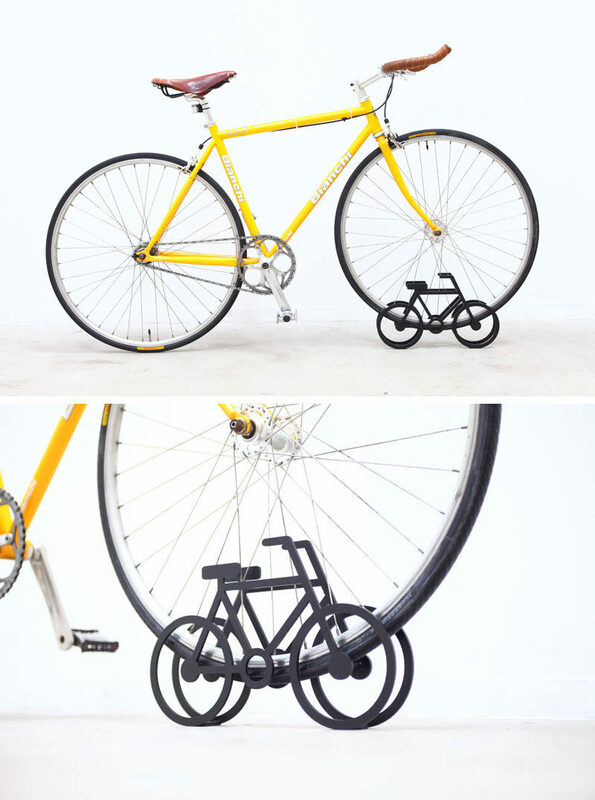 Named On Bicycle Stand, it was designed as a way to solve the problem of bikes being randomly placed on streets, sidewalks and in parking lots. 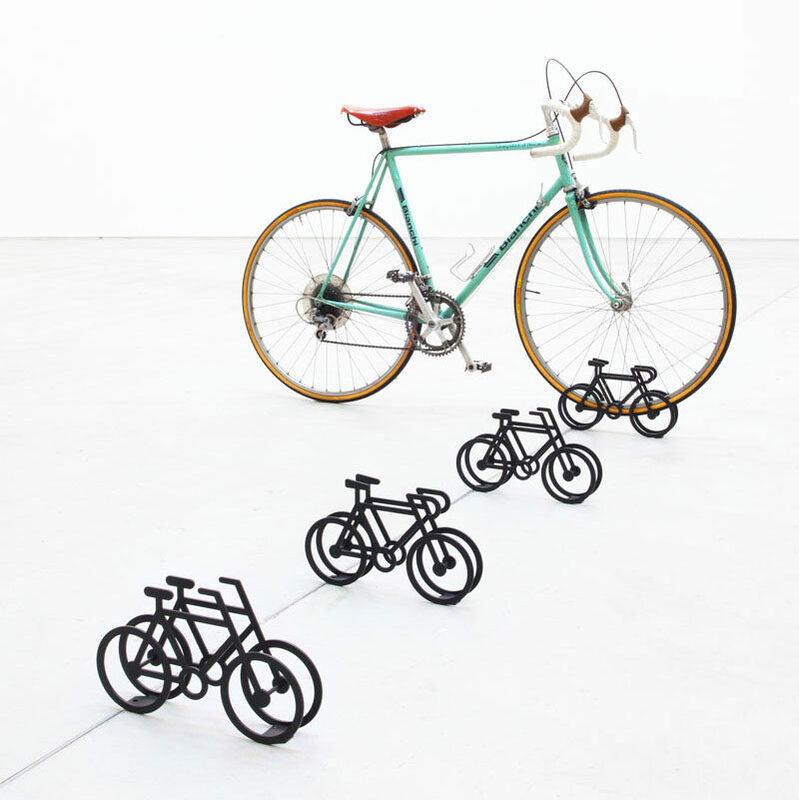 Not only are they stands, but they are a simple visual sign that bikes can be stored in that area and when not in use, they become a tiny art installation. 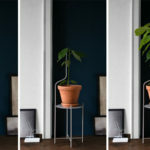 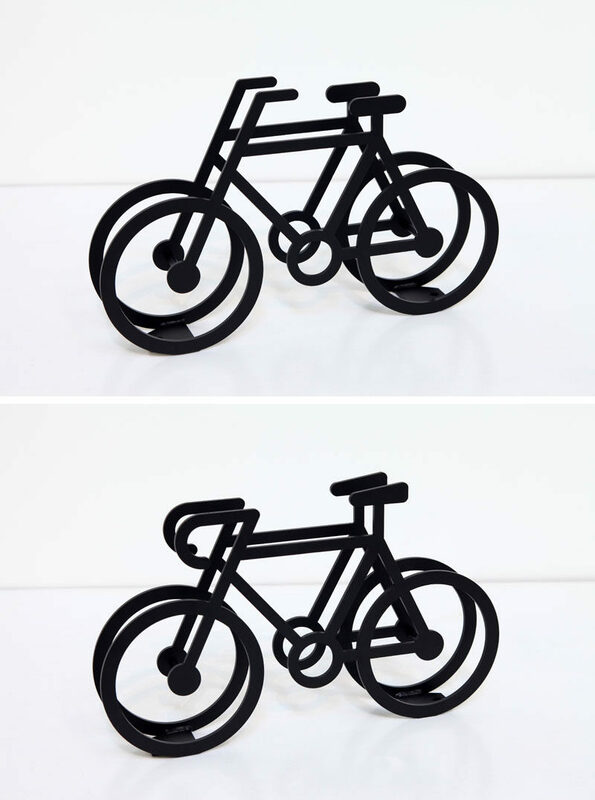 There are two different bike stand styles, one with racing handles and the other with everyday handles, and they attached to the ground via two small anchor plates located between the wheels of the stand. 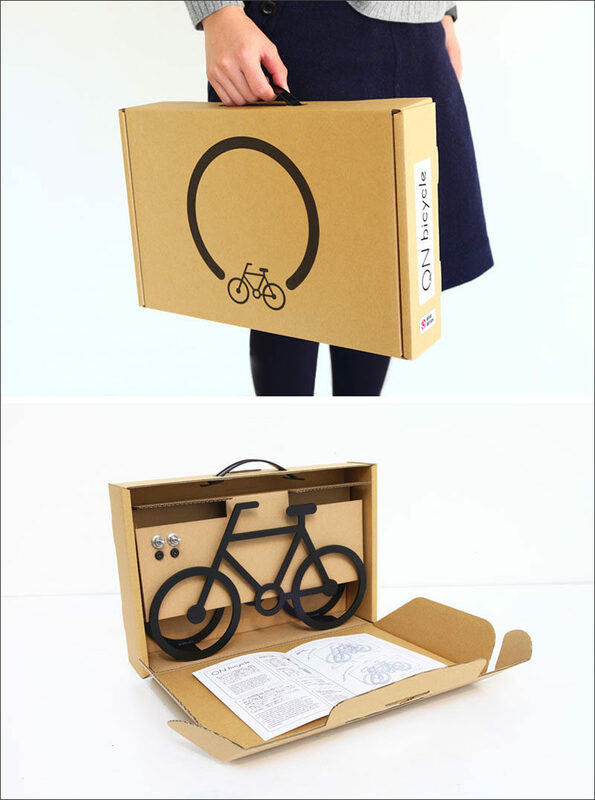 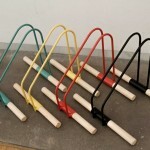 Working together with graphic designer Yu Miyama, they created a simple logo and packaging for the bike stand.